You take a shower, apply lotion on your skin, and 10 minutes later, your skin feels dry. Has this ever happened to you before? 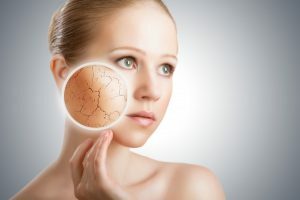 Many people have dry skin on some parts of their bodies even if you are not the dry skin type. Body cream can moisturize the toughest dry spots on your body. There are many skin care companies that offer multiple cream typed moisturizers: Nivea, Himalaya, BioCare and many more. Here, we will explain the difference between lotion and cream type lotion (body cream) and ranked 10 best body cream that can help your dry skin. Do you want supple skin? Let us look at how to choose one best for your skin! Here, we will explain the difference between lotion and cream, and give tips on choosing the cream you can be satisfied with. Body cream and lotion both contain water and oil. The difference between the two is the balance between these two components. Body cream contains more oil, and lotion contains more water. Oil-based components are such as olive oil, jojoba oil seal skin moisture. And water-based components are such as ceramide and collagen. First, water-based components give moisture to your skin, and then the oil components help avoiding moisture evaporation by putting the cover on your skin. Both are important. However, if you have dry skin or dry parts on your body, it is better you use body cream which contains more of oil-based components. There is not a single body cream that works for everyone the same. It is important to know your own skin type, and what components in body cream work for your specific skin needs. For people with dry skin, moisturizing only the skin surface won’t be so effective. The important thing is to penetrate deeper to avoid a skin from cracking. And for moisture to reach deeper than the surface, the ceramide component in cream helps. It has an affect to moisturize the skin within. It also helps keeping moisture for a longer time. If you have sensitive skin, you want to avoid anything that could irritate your skin. Surfactants, fragrance and synthetic colors are the among the list of ingredients that could cause skin irritation. Because every person has a different reaction to a different chemical, it is important to know what you are sensitive to. You can perform a skin patch test. And “natural” does not mean chemical-free, so make sure to check the ingredients. The safest for people with sensitive skin is a product with simple ingredients like shea butter with no preservatives, fragrance and synthetic colors. If you have oily skin, you might want to get a lotion cream that includes vitamin C serum. It works for this type and helps control excessive sebum (skin grease). Sometimes, skin discharges excessive amount of sebum due to the lack of moisture on your skin. If that is the case, products with collagen and hyaluronic acid can work well to keep the balance. Cream type body lotion has a different texture, and each product feels a bit different on your skin. Cream type moisturizers in jars are definitely thicker and greasier than bottled lotion. It is this thickness that gives long-lasting moisture to your skin. Some ingredients like glycerin can give you moisture without leaving the greasy feeling than other ingredients like olive oil. If you don’t have sensitive skin, choosing a cream with your favorite fragrance can be fun. Fragrance can also relax and promote good sleep. For example, lavender, geranium and vanilla are said to have such effect. If the products’ selling point is only fragrance, however, it might not work sufficiently as a moisturizer. So, don’t forget to check the ingredients or customer reviews. Now, we will introduce body lotion cream that can work well for dry skin. We focused on picking body cream that is in jars, which means thick enough to battle tough dry skin. Whether for your entire body or some dry spots for combination skin, these products can help you gain supple skin! 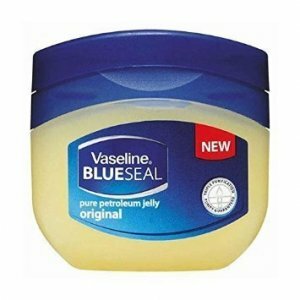 This product by Vaseline is one of the oldest and most sold skin cream in the world. 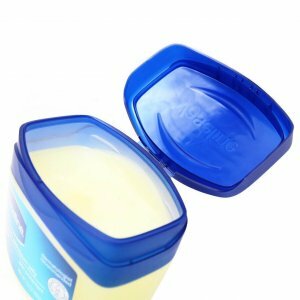 It uses triple purified petroleum jelly which is great for anybody even with a sensitive skin condition. It also works for all ages from children to the elderly. It does not have an artificial scent, coloring and thick consistency, which are all great for people with overall dry skin or some dry skin spots. It works well, but it isn’t the most flashy product. If you want to enjoy a cream with great aroma, this may be too “heavy-duty” product. It isn’t too cheap, so therefore, this comes in our #10, but the quality is high. If you are suffering from real touch dryness on your skin, it’s worth trying! This body cream from Palmer’s contains antioxidants like cocoa butter and Vitamin E to protect your skin and make dry skin hydrated. It is thick in texture but can quickly melt in body temperature for good application. It has nutty rich fragrance and works for tough dry spots. However, it contains synthetic colors and perfume-based fragrance, so it might not be the best choice if you have sensitive skin. 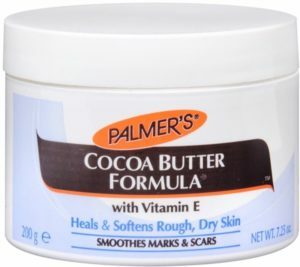 If you have dry skin and loves the cocoa butter and its fragrance, this cream is great for you! 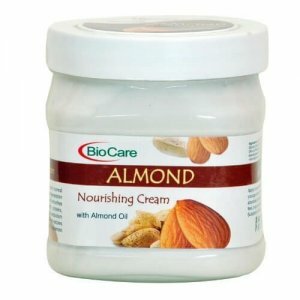 This budget-friendly almond cream by BioCare contains almond oil that can help skin feel smooth. Almond oil is light, can be easily absorbed into skin and rich with antioxidant components that fight against dry skin. This cream works for all seasons, but many customers mentioned how they use during winter. Some do not care for the scent. If you are looking for a cream for extravagant use to hydrate dry skin, this reasonably-priced product might be the one for you. This nourishment body cream by Dove is great for people with normal to dry skin. If you have normal skin but have some dry spots you need to work on, this may be the product because you can also apply it to other not so dry parts of your body. As the name says, it will leave your skin pretty soft after the use. The base is glycerin, so it does not feel sticky afterward. It contains ingredients like essential oils to support skin and improve, so there are many long-time users. It does have the signature Dove fragrance, so make sure you like the scent. The Body Shop offers animal-testing free products that can give you a luxurious experience at a decent price. This cream contains sea butter, which has vitamins, fatty acids and other nutrients great for skin. It has a nutty scent, thick in texture that gives moisture to dry skin. Some people find this product a bit sticky after using, so the best use seems to be for skin hydration after the shower. If you want to add a bit of luxury in skin care, you’ll love this product! 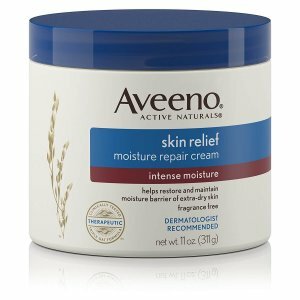 Aveeno is one of the most famous skin care company that offers products for dry skin. And it offers many kinds of skin lotion in a bottle. What makes this cream in the jar special is the thickness that works well for hydrating dry skin well. It contains colloidal oatmeal that relieves dry and irritated skin. Oats are said to enhance the ability to absorb moisture, and because this essence is in this cream customers all over the world rave about its moisturizing effect. If you have stubborn dry skin and nothing works, you might want to try this one. This body and facial cream by Johnson’s is both affordable and perfect for regular to dry skin type. The texture is softer than other body creams in a jar, but melts and absorbs on your skin well. One of the great points about this product is that this can work for people of all ages with a subtle scent and easy application. Children, for example, can be uncomfortable with the sticky feeling heavy cream can leave. With this one, it won’t do that. And you can use generously. The price is great! 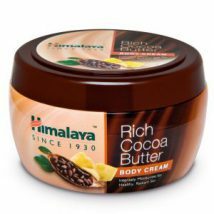 One of the most popular body cream sold in India is this Rich Cocoa Butter Body Cream by Himalaya. People love this product for its ability to hydrate dry skin, especially in winter. As we mentioned before, cocoa butter is rich with emollient properties. This cream feels a bit greasy when applying it on your skin, but as you rub it in, it will go away. This will work best for people with dry skin and night time application, like after showering. This came in the third on our list, not only because of all the goodness it offers but because it is affordable and comes in good size. For people with dry skin, body cream is important. And you don’t want to run out of it! This body cream from Orifame can hydrate normal to dry skin without leaving stickiness. It is not as thick as other products listed here, so it feels great even in hot summer. And people with dry skin can suffer even in humid summer, right? So, this will be perfect. People love the scent as well. It has sweet flowery fragrance. You feel like you are applying a beauty product rather than heavy duty cream lotion for your dry skin. Not to mention, it is budget-friendly. This product will be great if you want a light cream for your skin and for everyday use. So, as we mentioned at the beginning, for skin care the balance between oil and water is important. Too much water means less protection, and too much oil makes sticky. For people with dry skin, the road to finding perfect skin care cream is difficult. 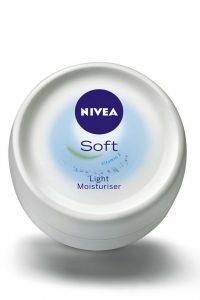 This very popular product by Nivea offers a great balance between the two. It is light so that it feels great after the use but gives enough hydration so that your skin is moist and soft. Your skin will absorb it in a few mins or so without leaving greasiness on your face and body making it perfect for someone who needs moisturizer in the busy morning. There are almost too many body lotion creams out there in the world, and choosing one is a bit stressful. So, we hope this article helped you find the one that suits your skin. Remember, the most important thing is to know your own skin type. Your skin is as unique as who you are. It is worth spending a little time to treat yourself and get smooth and supple skin!